Buying a house can be a very exciting experience. Of course, it can also be overwhelming. You need to know exactly what details to look for when making this investment. Do you want a space that’s move-in ready? Or are you excited about the prospect of using tools like an electric chainsaw and lightweight wheelbarrow to clean up the property? Working with a qualified expert from Tholco Real Estate Group will help you find what you’re looking for. Professional realtors know how to identify the pros and cons of any house you may be interested in. They can also help you better visualize the completed space if it’s unfinished or in need of an update. A Failing Roof – An aging roof leaves your home vulnerable to the elements. A new one, on the other hand, guards against harsh weather, and can even boost the home’s energy efficiency. This saves homeowners a lot of money in the long run. Pay attention to the state of the roof when evaluating a house. Although you can replace an old one yourself, ideally, you want to find a home where that won’t be necessary. After all, there’s typically only so much you can do with an oscillating saw blade before you need to get in touch with a professional contractor. An Old Heating & Cooling System – The average heating and cooling system will continue working for 15 to 25 years. As it gets older, it will run less efficiently, fail more often, and eventually die. Addressing any of these issues is expensive. Be sure to find out how old the HVAC system is in any home you’re thinking about buying. Aging Pipes – It’s easy to be impressed with new plumbing fixtures. That said, new fixtures are often used to cover up an old plumbing system. Thus, you want to check beneath the sink to look for signs of rusted pipes, water damage, or mold. An old plumbing system may be costly to repair, and mold can lead to an array of health issues. Old Appliances – Adding a new coat of paint to a room is another simple yet deceptive way to distract potential buyers from warning signs like old appliances or wiring. Remember, it’s not very expensive or time-consuming to paint a wall yourself. Buyers will want to pay more attention to the important details when assessing each room. Old Insulation – A properly-insulated home will save you a lot of money on energy costs in the long run. That’s why it’s important to check the quality of the insulation in every part of the house before deciding to make a purchase. Overall Property Dangers – Don’t just focus on the house itself when seeking a new home. You also want to research the overall property to find out if it’s in a flood zone, if it’s vulnerable to fires, and other potential hazards. It’s also a good idea to check a survey map to ensure you know exactly where the boundaries of your property are located. Again, buying a home doesn’t need to be an intimidating task. You just need to understand what to keep an eye out for. By coordinating with an expert and keeping these points in mind, you’re much more likely to find the ideal home for you and your family. 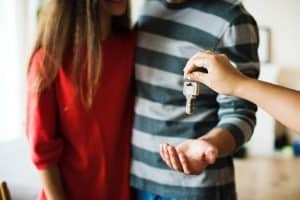 For more information on this article, 6 Things to Be Aware of When Buying a House or if you’re planning on purchasing a home and you’d like some guidance please feel free to contact us anytime!